i thought it would be fun to start a thread so we could talk about how much our kids are following in our footsteps down this very fun road of audio enjoyment! 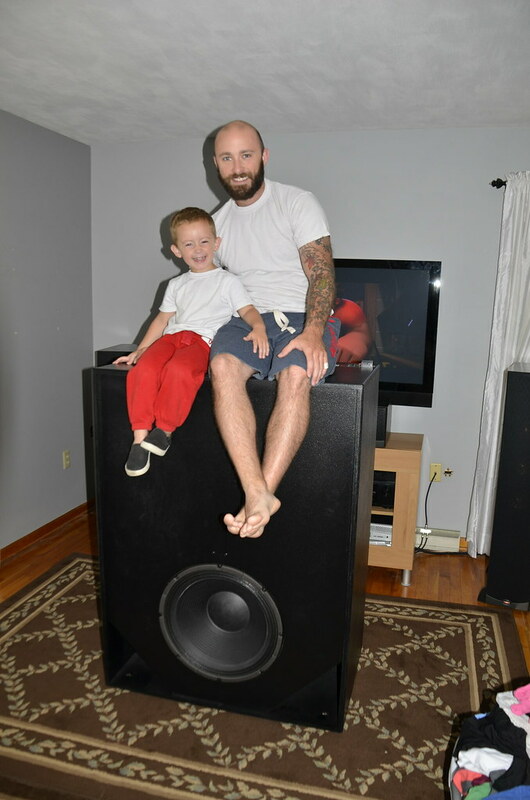 So let's post some pics of our kids and our speakers! my son is 3.5 years old and for the last year or so he has been able to turn on the tv, open cabinets, knows exactly which input button the blu ray player is on on the avr, turns on the inuke for the subs, and blu ray player on as well as open it. only thing he isn't allowed to do is touch the disc themselves. he loves listening to music no matter what its on right now, although as he gets older i'm sure he will respect a nicer sounding system. 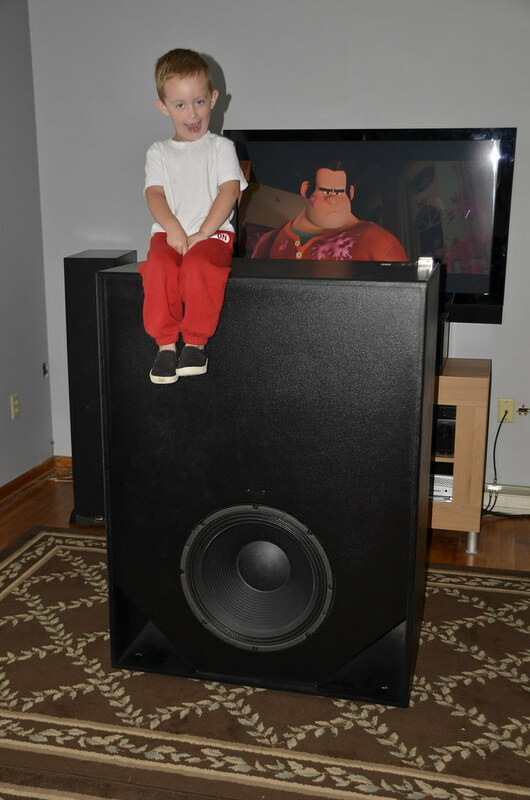 He is very good at not messing with my speakers, and when we have friends over with kids much older than him (6-10yr olds) he tells them to stay away from daddy's speakers. this was of course this morning when i loaded the subwoofer to be taken to its new owner, plissken. Started my daughter off early as well. She is just now reaching the age where she appreciates good sound. Set her up with a full Klipsch KG series 5.1 system for her room years ago. She still prefers the big system in the living room though. She watched Pitch Perfect the other day and said she cranked it to "50" during the end competition and said it was vibrating the room and sounding like she was in the front row. I have 2 teenage daughters that appreciate good sounds, but they don't pursue it much. They listen to their iPhone mostly. They do like their guitars though. I used to be a "youngish" one. Though my interest in audio was influenced by the fact my dad was in a cover band - I latched onto home audio myself. My mom fueled that appreciation/addiction when she bought me my towers when I was 12. Never looked back since - they remain the best in the house. That's my 25yr old fiancé. Yeah she has the hook up. Iv spent more on here system room than my own. Her audio room is very modern with all the bells and whistles. Im about 40 now and when I was 12 I will never forget my buddys mom bought him brand new jbl speakers from best buy...man was it killer. He had an older 70's high current receiver and them jbls blew pretty fast...It took us all a short amount of time to find used pa systems laying around that would rock the whole town. Iv tried everything Boxx...she just cant break through to the other side. I gave up long ago. My ex stepson at age 9/10 had an amazing setup, theater in particular. Interestingly enough my daughter made a spot in his room back then to watch movies...when it came to me hauling gear and hooking it up in her room she was devastated let alone myself. Its about kids nonetheless/regardless of which devastating choice they make. I don't have kids, and my dad never really was into it like I am. actually he thinks I am spending my money stupidly. while he is twice my age and I have 10 times what he does in retirement. we never did see eye to eye much on anything though. Great topic! I am totally passing on the legacy. Both of my children now have Klipsch 5.1 systems in their homes and they both do appreciate good sound. Son 23, daughter 21. My first Klipsch system was Quintet II 5.1 system. When my son moved out those speakers got setup at his place. 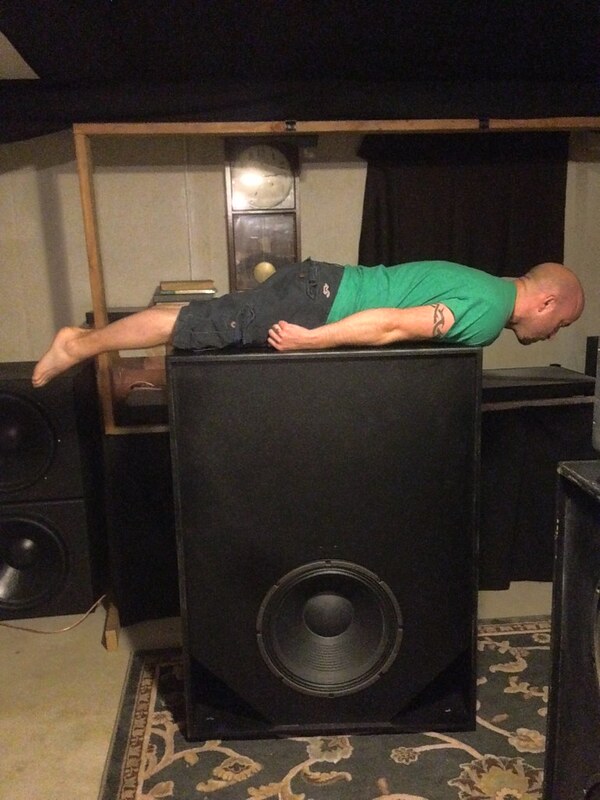 Recently we got him upgraded to KG 5.1 system (awesome KG 5.5s). Then the Quintet IIs went to my daughters place after she got married just a couple of months ago. LOL - she came to me shortly after they moved into their place and was complaining about the crappy sound coming from their TV. Klipsch to the rescue! So far, I have been good at buying klipsch speakers and not very good at letting them go. Okay, scrappy, guess I have some homework to do then. Lemme see what I can get done this weekend! I would love to! For headphones we have way, way, way better pairs in the house that cost $20(and several pair of my preferred brand "grado" in h/p's) comparing to her new beats(that's embarrassing to say) that cost $270 with a contract for her iPhone. Its beyond words to me why kids and adults fall for the money trap. She has earned what she has chose yet again wont spend 5 minutes in my personal music room that provides minimal distortion at low and high volume. Nice to see scrappy passing the legend of and in sound on to his boy. As well as others! 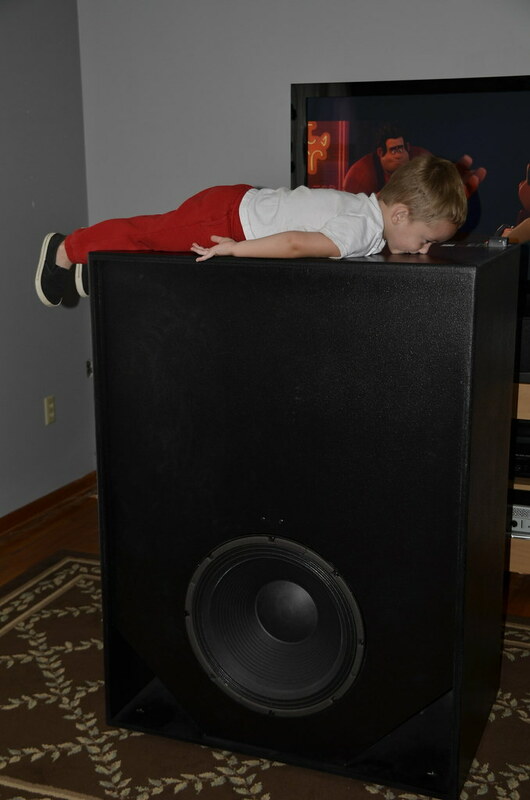 Finding klipsch at a young age is the best! It took me til age 19-20 to find kg's then another 12/13 yrs to find the whole package...the real holy grail in audio. Klipsch is endless. All humanity can truly tailor their preferences with klipsch to reproduce the sound they need to feel in their soul!